Walking trail, nature observation, children's playground, basketball court, soccer fields, picnic pavilion, winter sledding. A family-friendly literacy trail from Friends of the Berne Library - read the deconstructed picture book together and do the suggested activities as you walk the trail. Read the description of the creature preparing for winter. Can you figure out who it is? 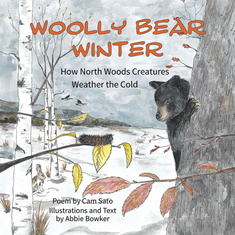 Can the woolly bear caterpillar tell us what kind of winter is coming? 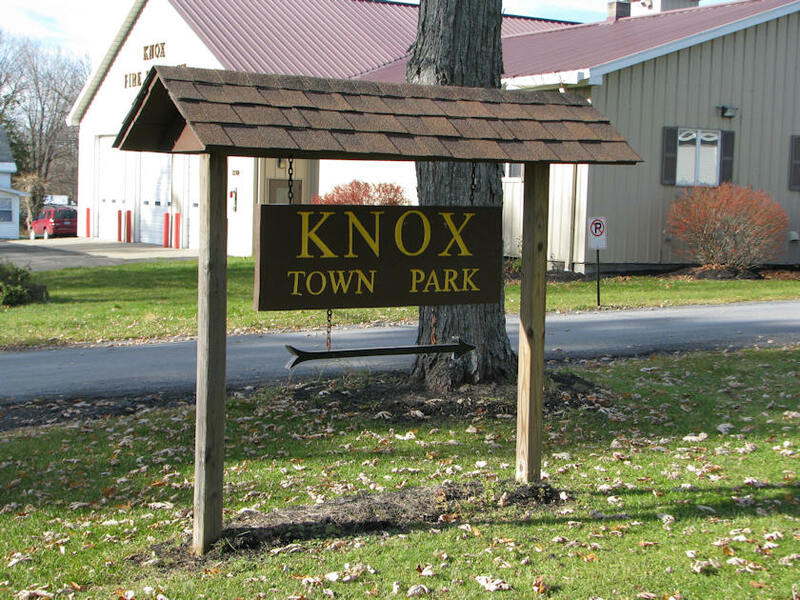 Knox Town Park is a four-season recreational site in the center of Knox. The park's main entrance is behind Knox Fire Department and Town Hall on Berne-Altamont Road (Route 156). The park extends down the hill to Street Road. The lower entrance on Street Road is between Knox Cave Road (County Route 252) and Knox-Gallupville Road (County Route 255). The park has picnic pavilions, a children's playground, a basketball court, tennis courts, soccer fields, baseball fields, a hill for sledding, and walking paths. A walk along the paths takes you through wetlands, by old stone walls, past a beaver dam, through fields, and near a mini-escarpment. The playground and recreational development started as a community effort about 1977, and many improvements have been made since then.